UNCLE PETE ROLLS OUT SOME GOOD ONES THIS WEEK! It’s time for some classic kegling and puzzle solving this week in THE DARK VAULT OF PUBLIC DOMAIN!!! Join UNCLE PETE as he brings you The Classic Television Spectacular – Part IV featuring game shows from the Golden Age Of Television. It starts right up UNCLE PETE’s alley with two bowling challenges. First it’s Jackpot Bowling from January 1961. Originating from the Hollywood Legion Lanes, Jackpot Bowling not only featured kegling competitions but threw in a good dose of comedy with legendary host Milton Berle. In the second frame, it’s Make That Spare, the first nationally broadcast bowling game show. Next up is game show perennial Allen Ludden hosting Password as he did for eons, this time with Jack Benny and Benny’s daughter Joan as contestants. Finally it all wraps up with the hit charade game from 1951 called Pantomime Quiz Time featuring all-star celebrity contestants including Walter Brennan, Hans Conried, and Vincent Price (among others). 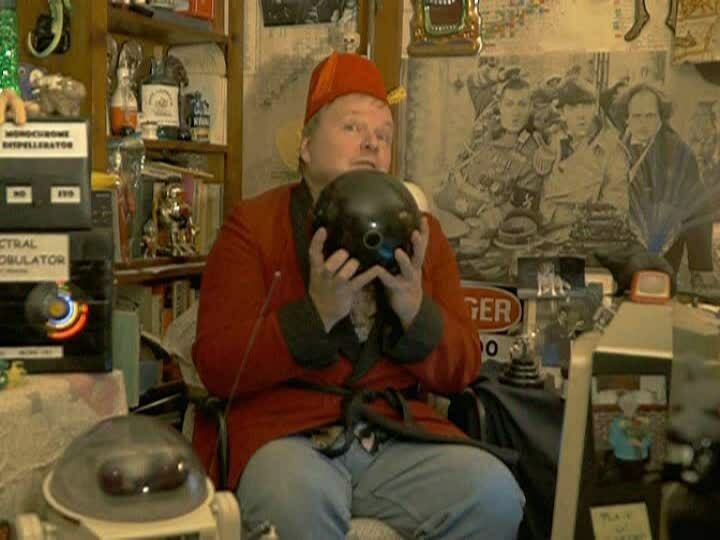 Back at THE DARK VAULT, UNCLE PETE discusses some television history with El Vato and demonstrates some of the finer points of precision bowling. So join us this Saturday night, January 27, 2018 from 10PM to midnight (with replays at midnight and 2AM) on channel 4 in the Binghamton area, channel 17 around Montrose/Sayre, and channel 99 in Corning/Hornell/Elmira as well as the Utica/Rome area, channel 2 for the Plattsburgh, Saranac Lake and Tupper Lake areas, and all over the entire North Country of the great state of New York (Malone, Messina, Watertown, Ogdensburg, Champlain, etc.) on channel 30. It’s The Classic Television Spectacular – Part IV on the next DARK VAULT OF PUBLIC DOMAIN!!! ~ by UNCLE PETE on January 25, 2018.